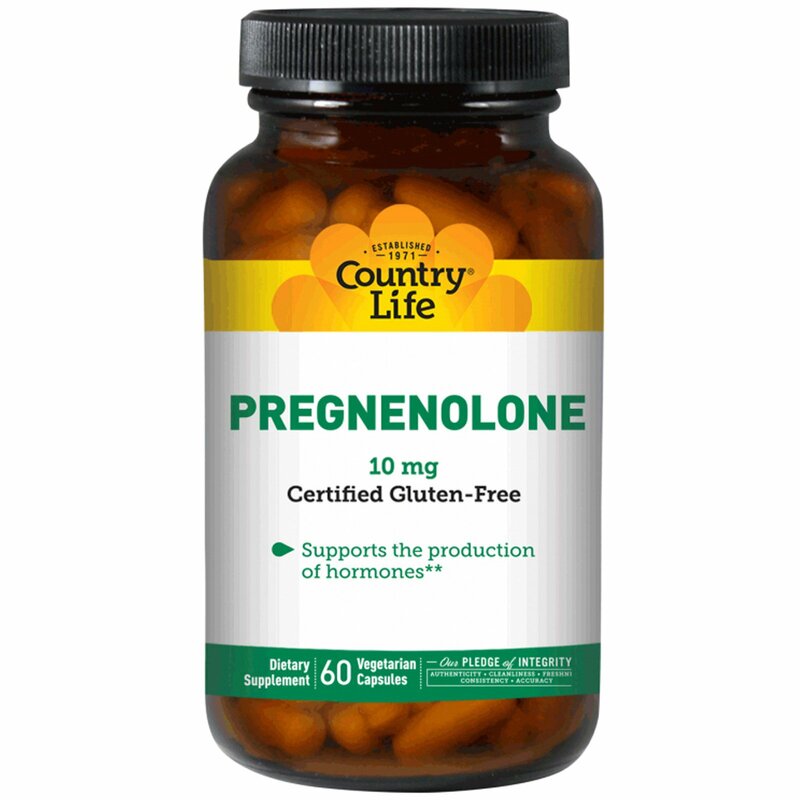 Pregnenolone plays a supporting role in the production of hormones. Cellulose, cellulose (capsule shell), calcium silicate, silica, magnesium stearate. Not for use by persons under the age of 18 years. Do not use if pregnant or nursing or if you are a woman of childbearing age. Consult a physician or licensed qualified health care professional before using this product, if you have, or have a family history of, prostate cancer, prostate enlargement, heart disease, low 'good' cholesterol (HDL), are under medical care, are a woman under the age of 40, have or are at risk for a health or medical condition, or if you are using any other dietary supplement, prescription drug or over-the-counter drug (medications) or planning surgery. Do not exceed recommended serving. Exceeding recommended serving may cause serious adverse health effects. 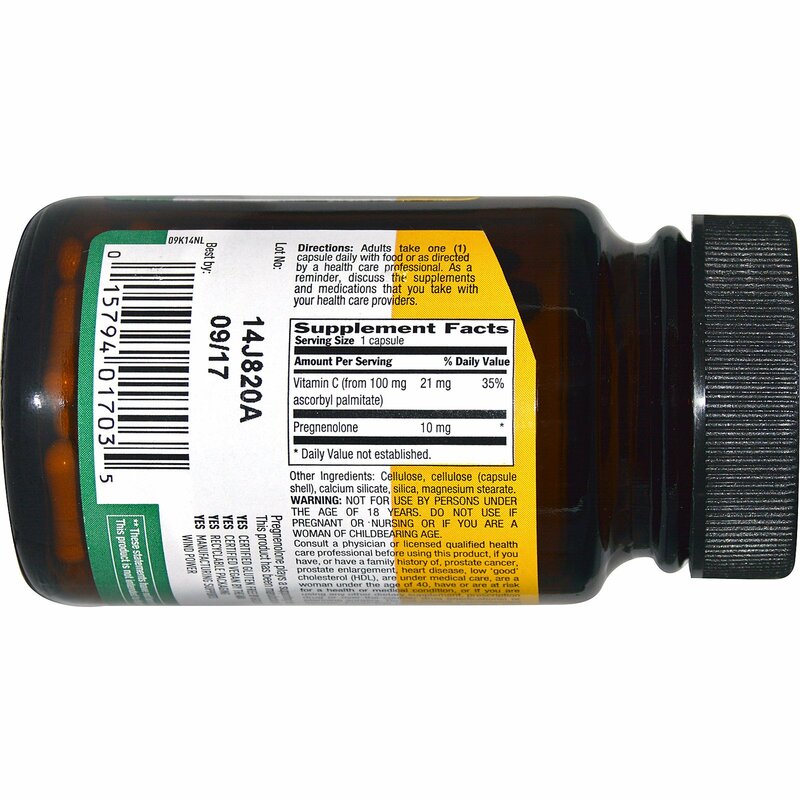 Possible side effects include acne, oily skin, hair loss, hair growth on the face (in women), increased perspiration, aggressiveness, irritability and increased levels of estrogen. Discontinue use and call a physician or licensed qualified health care professional immediately if you experience rapid heartbeat, dizziness, blurred vision or other similar symptoms. Keep out of reach of children.